Columbus, Ohio, bathroom remodeling company, NJW Construction, has a special expertise of remodeling bathrooms for the elderly to age in place with a focus on quality of life and independence. Seniors are choosing to age at home, rather than in assisted living facility or a nursing home. The problem is that as we age our bodies change, and it becomes more difficult to go up and down stairs, get in and out of the tub, or reach high cabinets. This is when a home renovation can make the difference between staying in the home vs. moving. Aging in place is easier with a few key home renovations. If you live in a two-story house, for example, it may make sense to move the areas you frequent the most to the first level. Having a master bedroom, bathroom, and laundry room on the main level will greatly reduce the number of times you climb the stairs. When remodeling bathrooms for seniors, we are creating a safer space for older loved ones to live. Working with the goal of allowing them to age in place, we create bathrooms that are not only luxurious but also functional. Installing a toilet that is the proper height, and making sure the toilet paper holder can be reached from a seated position, are essential for comfort and usability. We can also make sure the space is large enough to accommodate the use of canes, walkers or wheelchairs. Accessible bathtubs are a safe option when bathing. 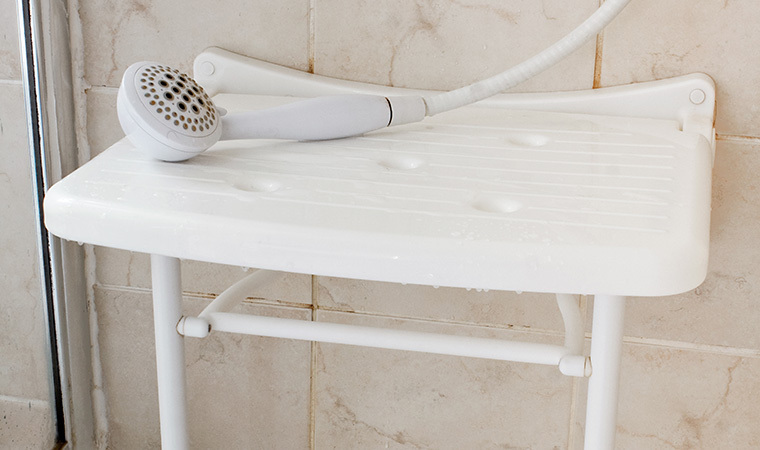 We can install grab bars to help get in and out of the tub or shower, along with an adjustable hand-held shower head. Slip-resistant tub floors are also important. The homeowner may also opt for a walk-in bathtub which has a built-in seat and does not require bending down to get in. Arthritis and weakened muscles make it harder to twist and turn our wrists. Lever faucets, or hands-free faucets are much easier to control. Reliable and convenient, knee or foot-operated faucets can be installed in the bathroom and kitchen. Curb-less shower floors help avoid trip ups. A wide entryway accommodates wheel chairs and walkers. We can even install handrails for help getting in and out and bench seating so you can shower sitting down. Our goal at NJW Construction is to make homes safer so elderly homeowners can live there longer. Whether for you, a parent or another family member, contact us to find out about our bathroom remodeling services in Columbus, Ohio, and the surrounding areas.